Just getting in from the Christmas lighting ceremony, followed by a quick visit to the rummage sale (part of the Christmas Bazaar), and a walk back up Market Street to see the lights. Captured this out the back door just as we were about to leave this afternoon. 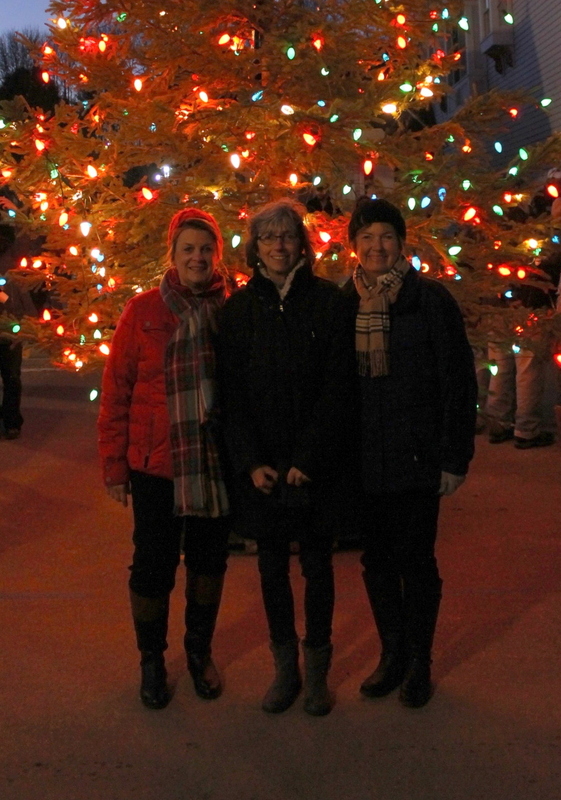 Right after the tree lighting we rushed – along with everyone else – over to the fire station for the rummage sale. Jill and Sue found a great Pink Pony shirt. Ted, they’re planning on sending this home with me for your Christmas gift. 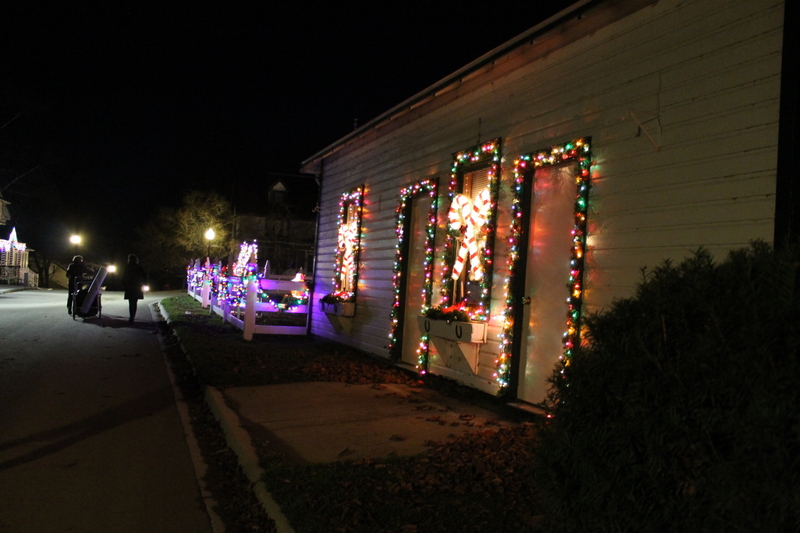 The light show started just a few feet beyond the fire station. The beginning of the walk to the corner . . .
. . . further up the street . 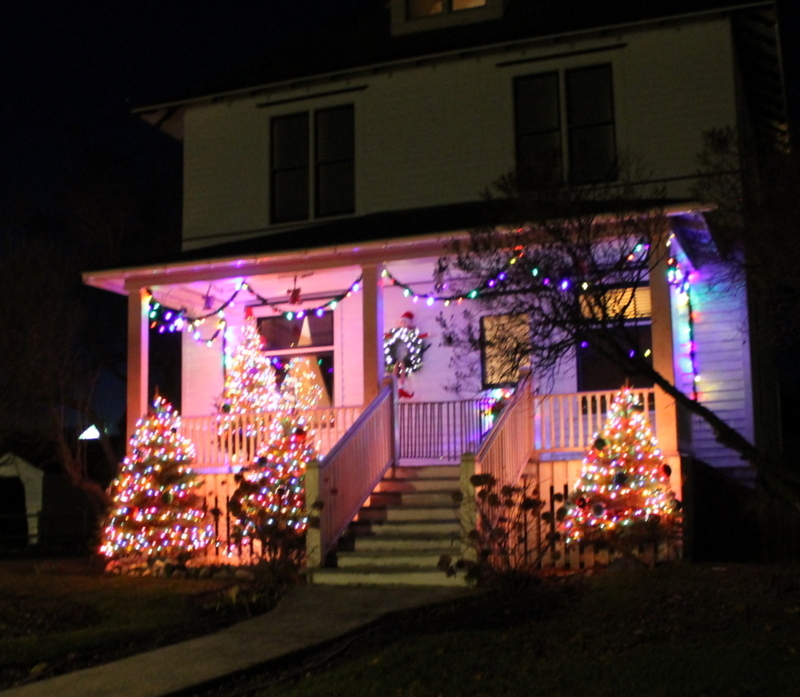 . .
. . . . a beautifully decorated house across from Chambers Corner . . .
. . . and around the corner – WOW! 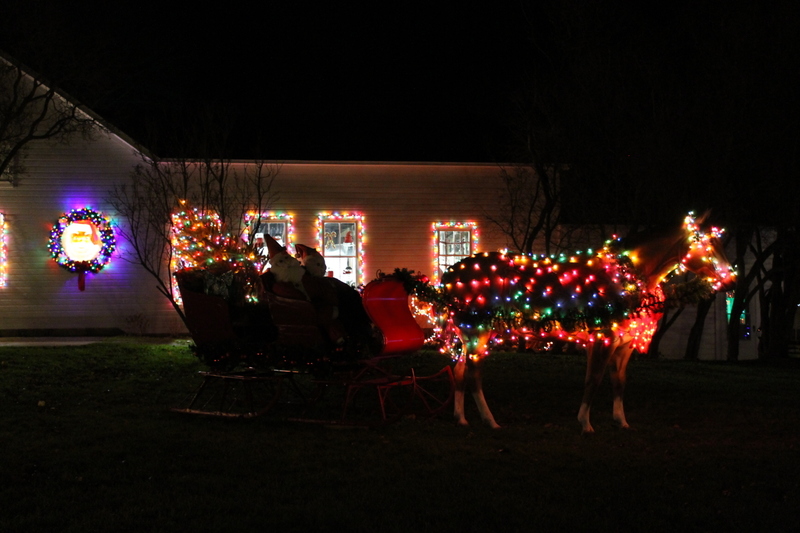 On Mackinac, Santa’s sleigh is drawn by a horse – of course. 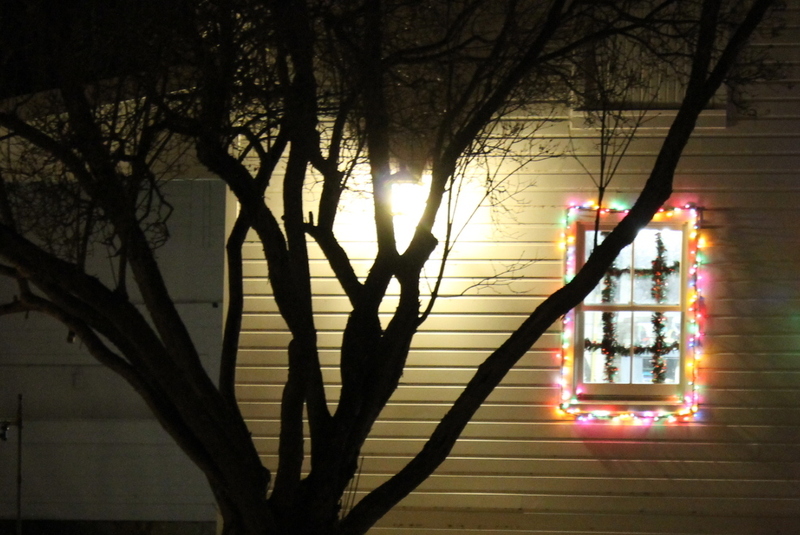 This window is just so happy looking with all the Santas! 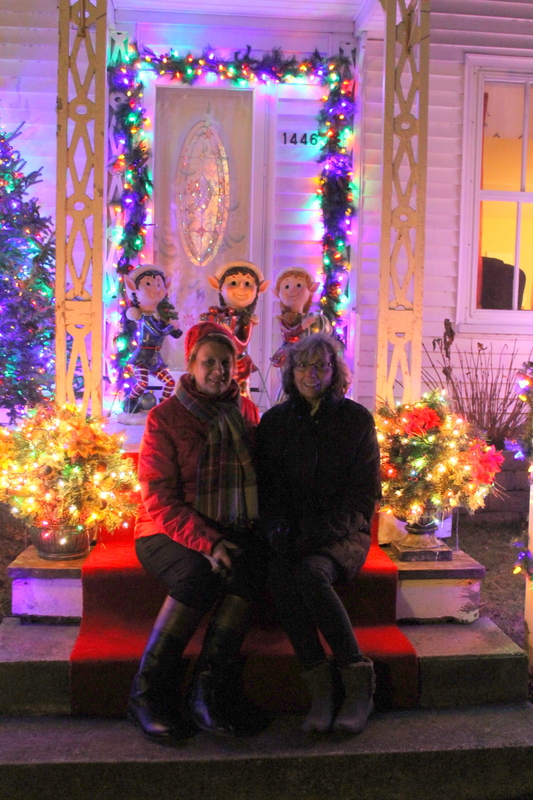 Elves on the front porch . . . and on the steps! 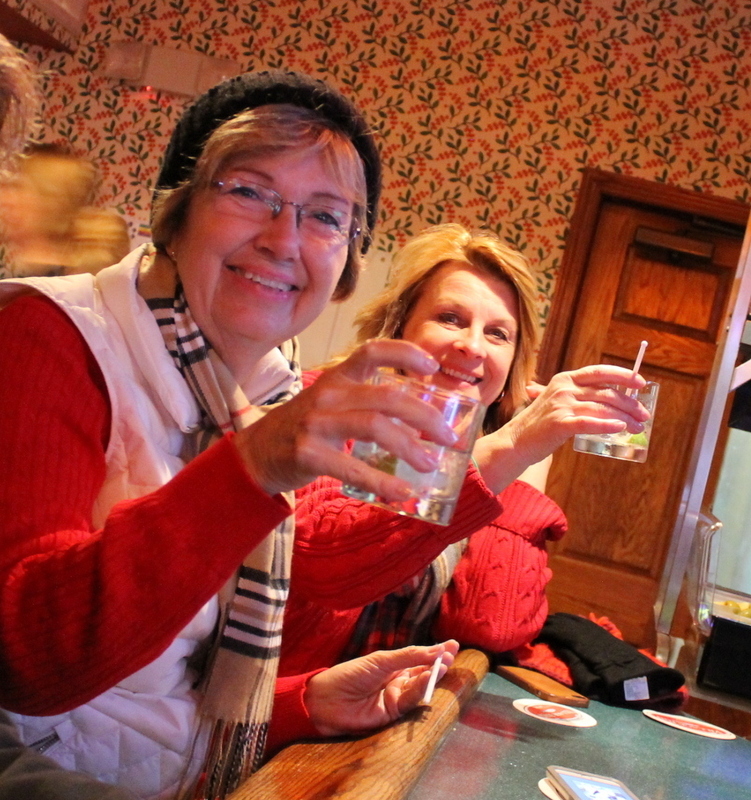 Back to the Village Inn for a little something to warm us up! 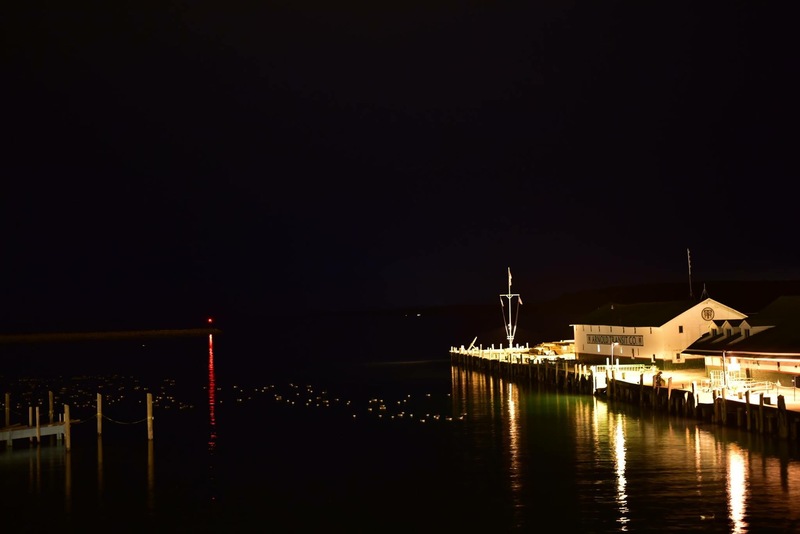 As I stood in this beautiful spot tonight, with these beautiful people singing Silent Night, tears came to my eyes. Although majestic, you really don’t need huge choirs and symphonic orchestras to celebrate the birth of Christ in song. Listening to these folks tonight – singing those special words a cappella – was a very, very moving experience. I’m so glad I was here. Tomorrow the Christmas Bazaar officially begins and will include a silent auction and a huge room full of home-made and brand new items to purchase and to buy at auction. A special time for the kids will be the arrival of Santa Claus via a fire truck. 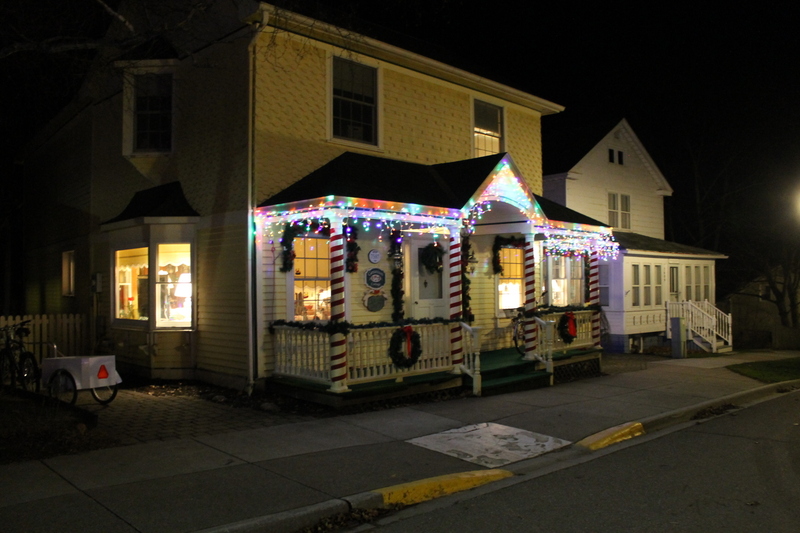 Personal Note: I’ve been trying to post these Christmas Bazaar stories to both the Mackinac Island Blog AND the To Be Clay blog. 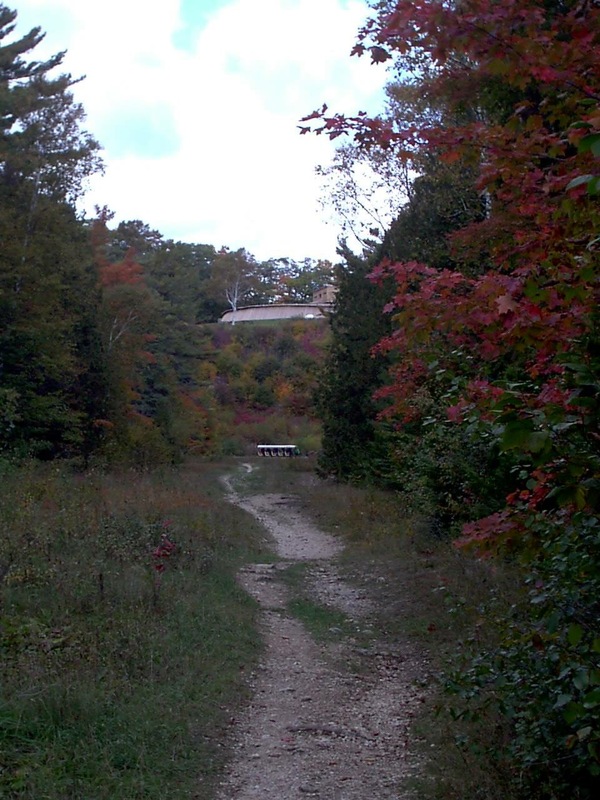 But – that is really time consuming, and I think most of you are reading it from the Mackinac Island blog anyway. 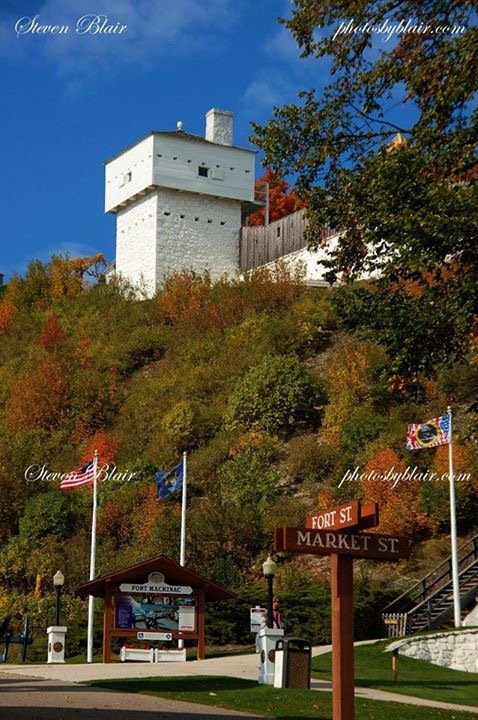 SO, after this one, I will only be posting to Bree’s Mackinac Island Blog while I’m here this weekend: That blog link is http://bree1972.wordpress.com. If you’re not already a follower there, please just click on the “follow” icon, and you’ll get an alert when I post. Thank you! Oh my gosh! This has been the LONGEST month! 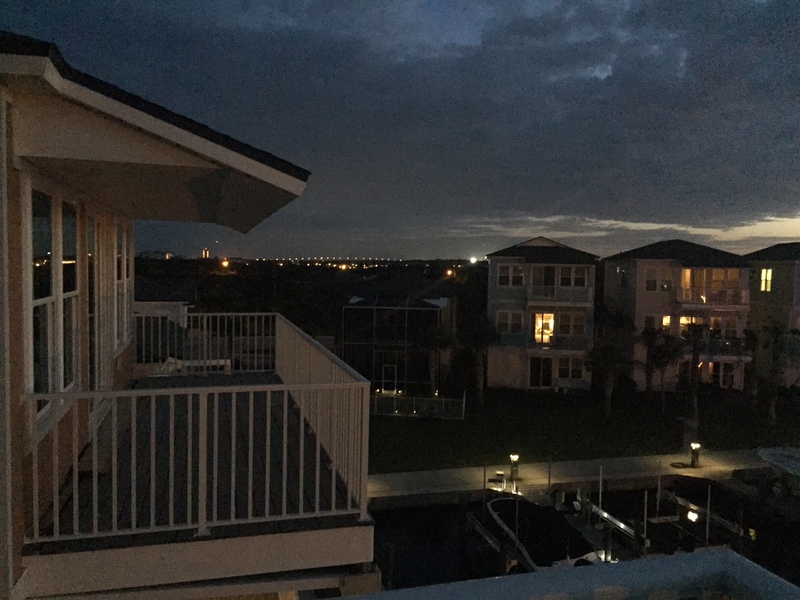 I have to admit I’ve enjoyed my vacation from writing this month, but for the last week or so I’ve looked at the calendar more than once to see how many days of my self-imposed “writing vacation” was left. I’m glad it’s over . . . because I sure have missed sharing and hearing from all of you! If we’re friends on Facebook, some of what I’m about to share will be repetitive, but maybe there will be enough new stuff to keep you interested. Home sweet home. So happy to report that – after exactly one year (as of October 31) – we are truly settled in. I don’t know if Florida will ever be my favorite place to live, but two things are really beginning to make it feel like home. 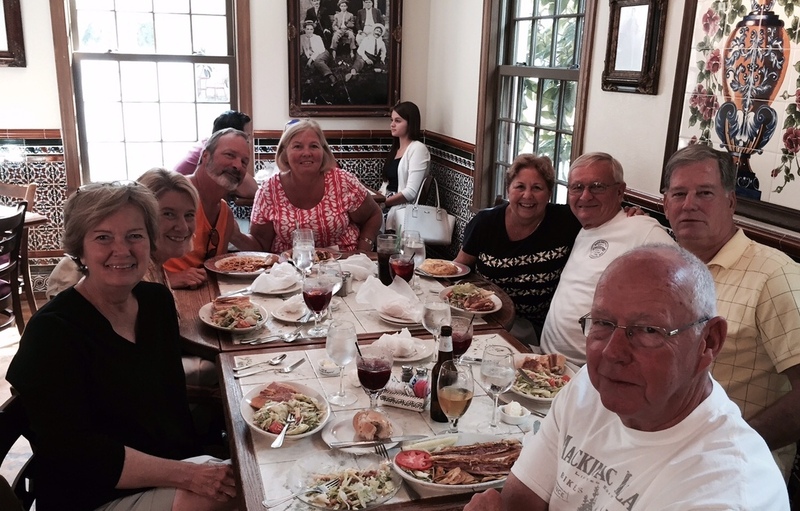 First – wonderful new friends! 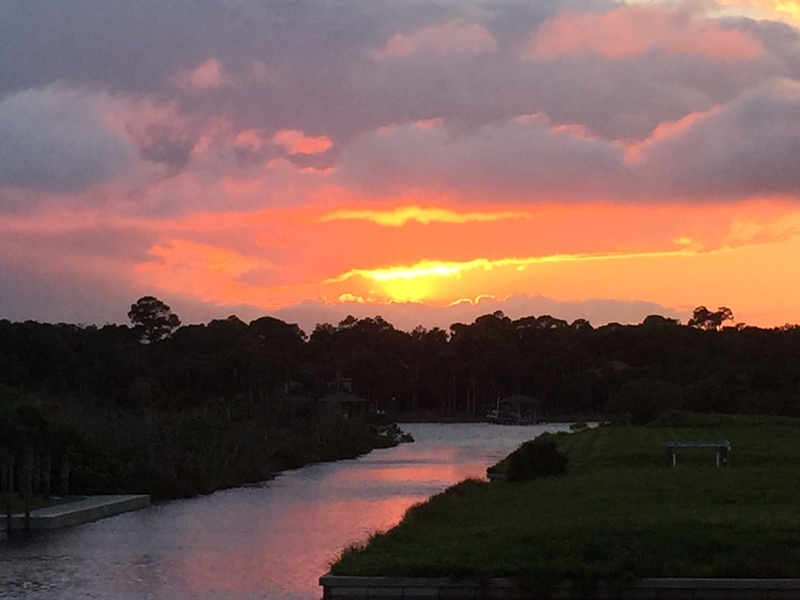 While we were in Michigan, Sunset Inlet really filled up, as houses were finished and people moved into the neighborhood. We spent our first week back meeting new neighbors and getting reacquainted with the ones who were already here when we left. 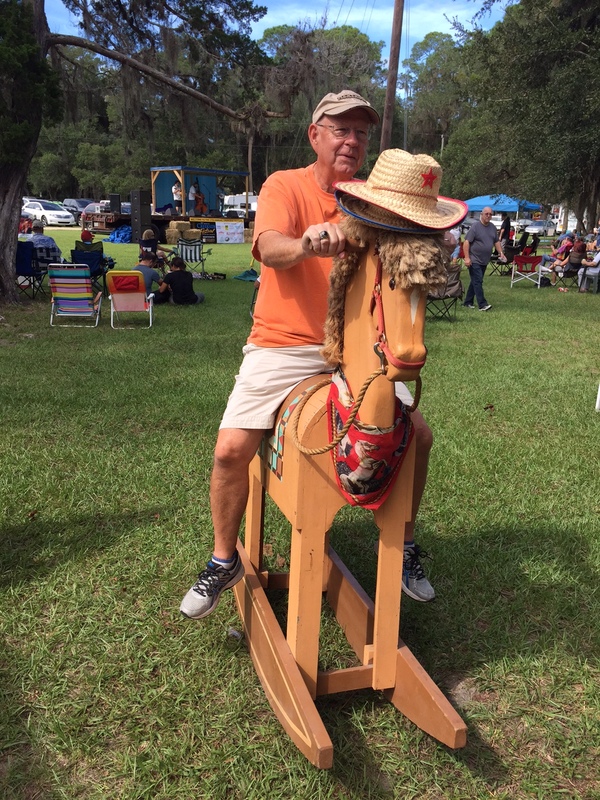 We’ve been doing fun things with friends this month – like going to the Creekside Festival and spending a day recently in St. Augustine. Of course, any trip includes food! At the Creekside Festival. This is the closest Ted will ever get to riding a horse! The other thing is our home. The longer we live in it, the more we’re making it ours. Decorators are wonderful, and mine is the best . . . BUT! 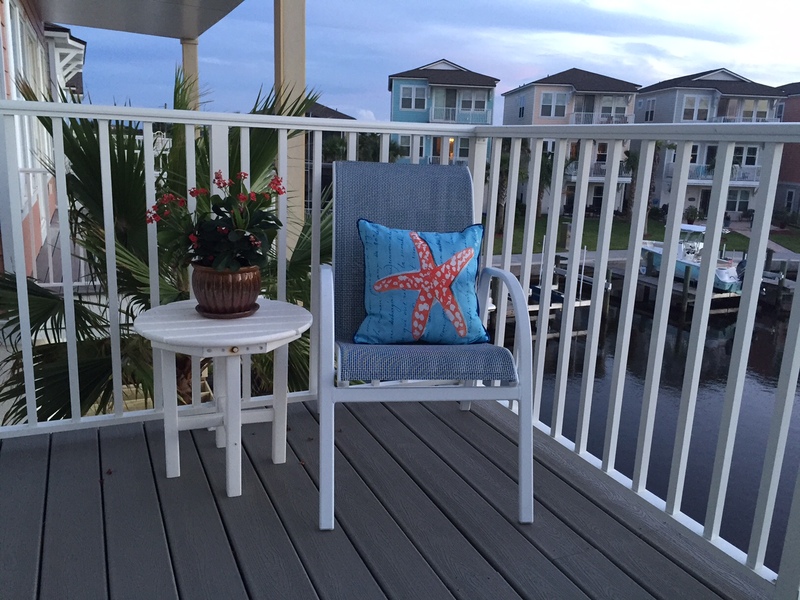 After the decorator has come and gone, it’s all the little things you add that make a house a home. That’s the fun part, and I love doing it. Of course, Ted says if I bring home one more “throw” pillow he’s going to place a moratorium on his credit cards. But that’s ok . . . I have my own. I have such a thing about pillows. If I could get away with it, there’d be one or two in every chair in – or out- of the house! The weather has been HOT (Ted would say warm – I say HOT) and muggy since we’ve been back. 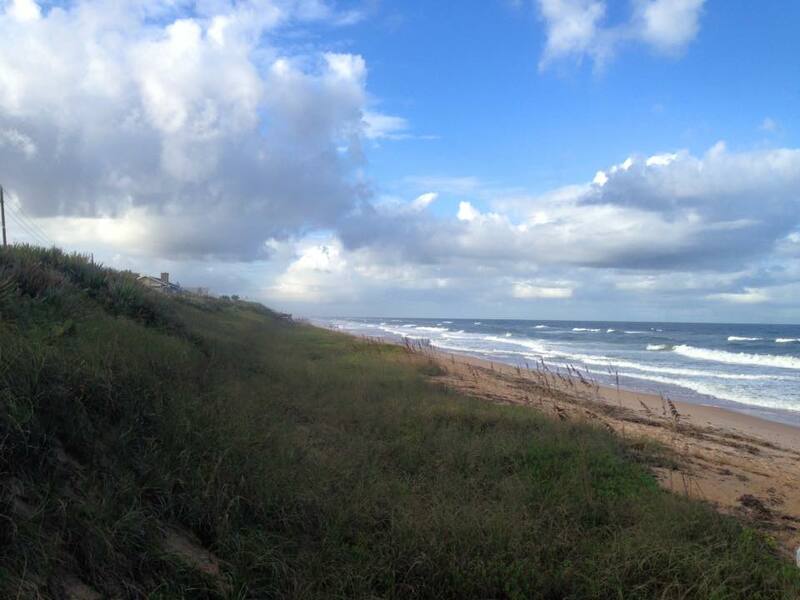 We had a nor’easter blow in right after we arrived, with winds around 30 mph for three days straight. THOSE days were cooler because of the constant wind. I’m hoping the first week in November will see a cool down that lasts AND less humidity! 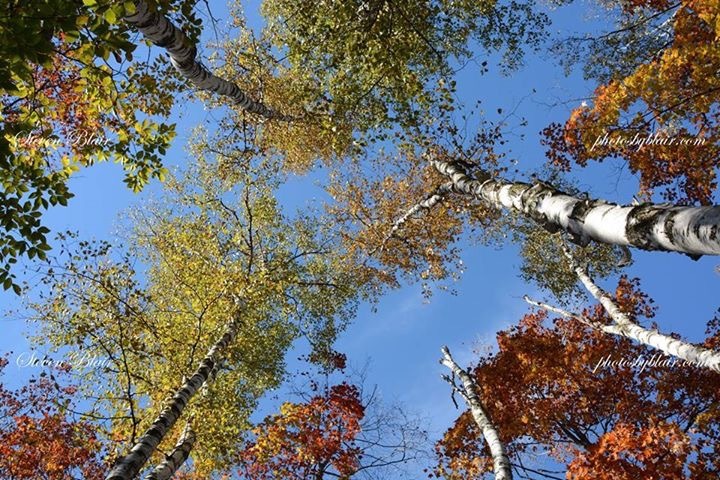 Even though the weather hasn’t been fall-like yet, I can’t say enough about the beauty of our surroundings. 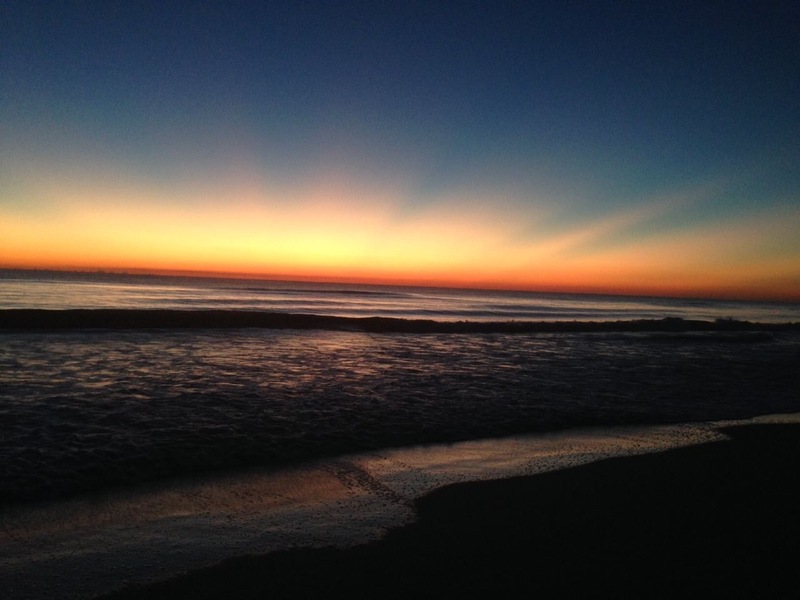 While on an early morning beach walk with the dogs we got to watch God paint the sunrise with brushstrokes of light – separating Heaven and earth for another day. 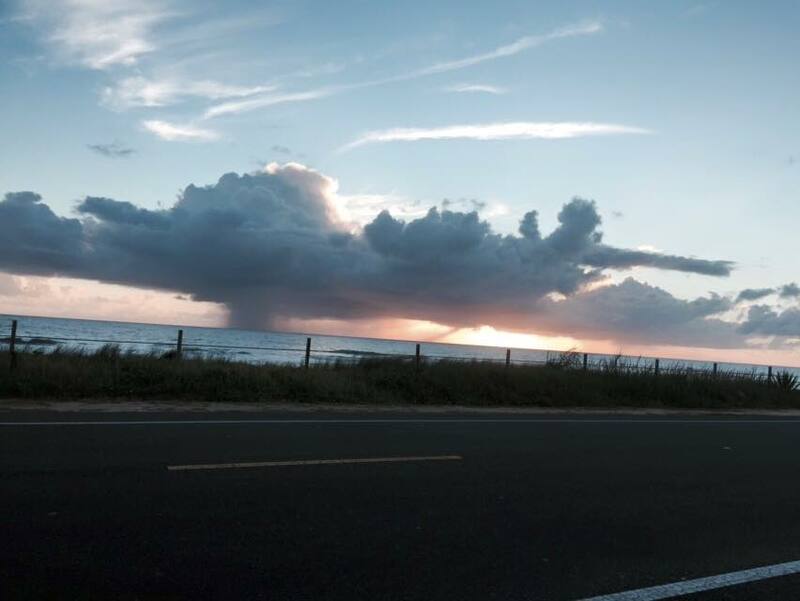 I pulled over one morning, as I drove to my volunteer job in the hospital ER, to take a pic of this rainstorm on the horizon. What my phone camera couldn’t pick up were the shrimp boats – one directly under the rain and the other directly under the brightest part of the sunlight. 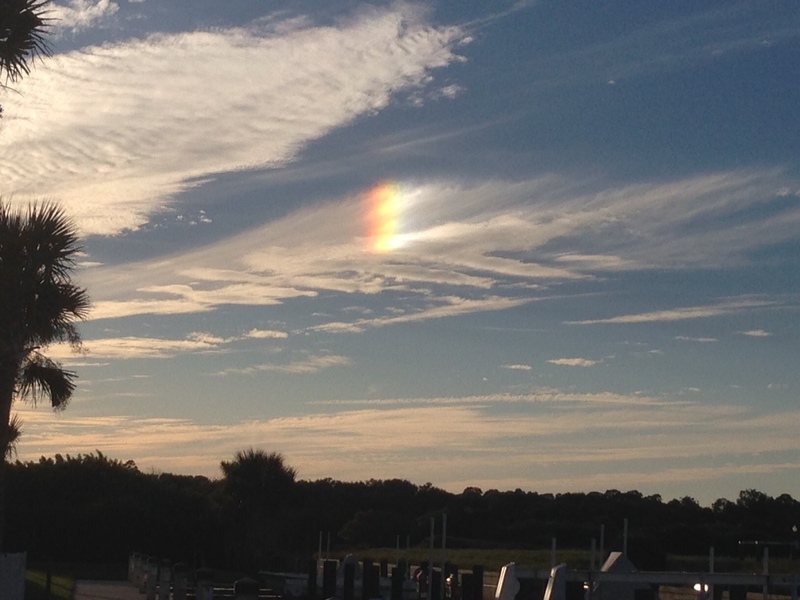 A very vivid sun dog over our marina recently. 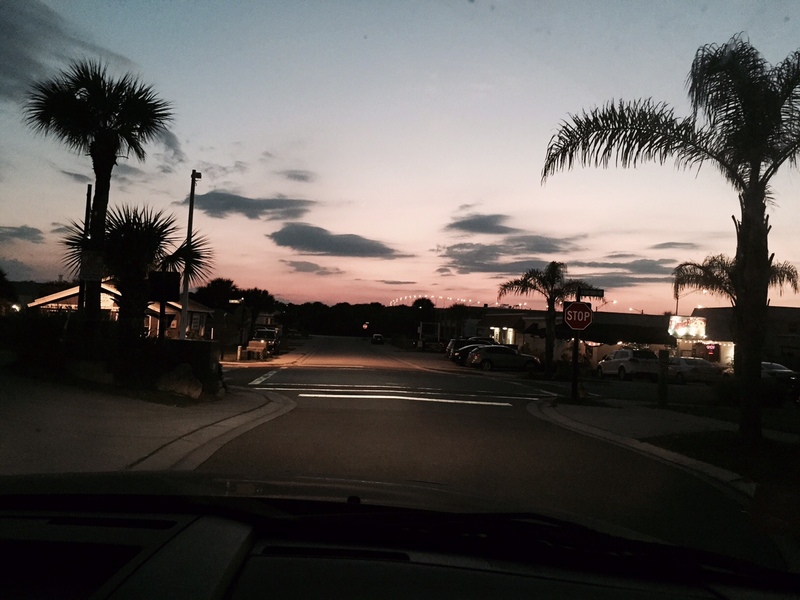 The sleepy streets of Flagler Beach after sundown. View from our skywalk with the Flagler Bridge in the background. Our walk this morning at sunrise. Ted and I have both jumped back into our volunteer jobs. For me that means the ER and the Flagler Humane Society. After being gone for 2 1/2 months I was faced with almost all new faces in the cattery (although a few of our ‘regulars’ were still there – mostly our sweet little black cats). 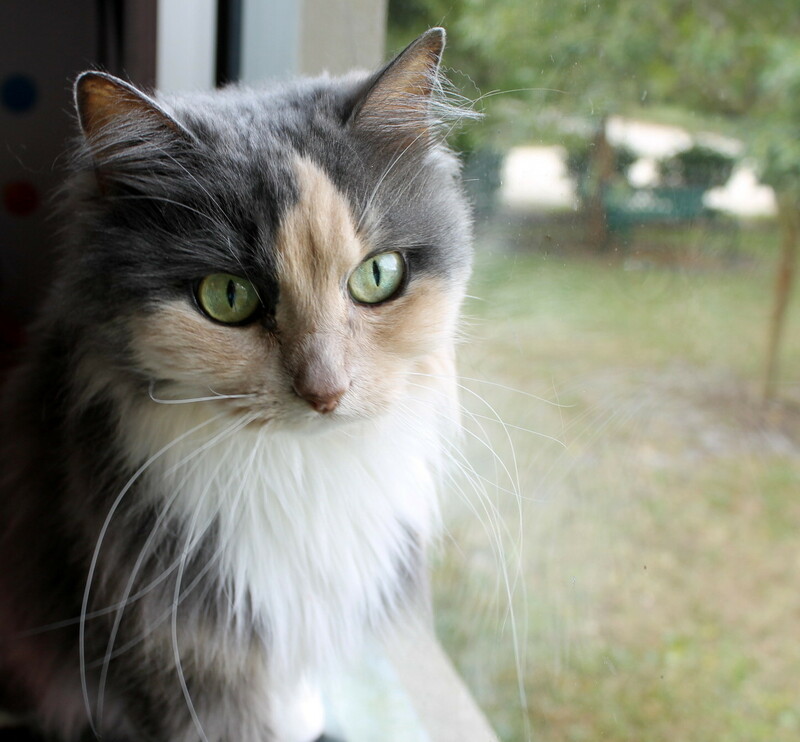 This beautiful 12-year-old female really caught my heart. Another sad tale of an elderly owner passing away and no one in the family willing to take this old girl. Her name is Kitty Kitty. What can I say? 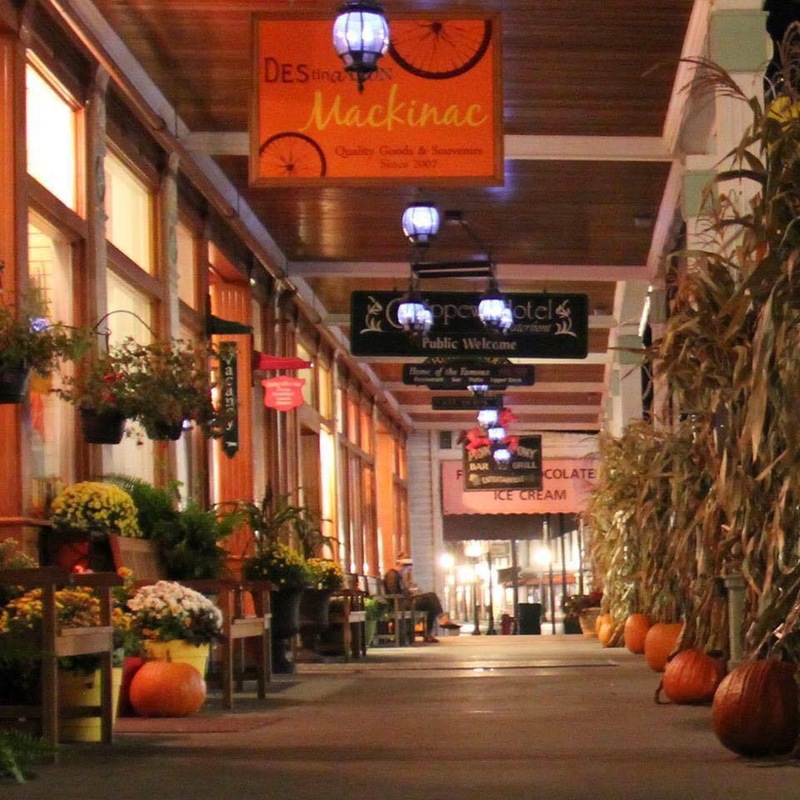 I miss Mackinac, and miss it even more knowing we left just as “leaf” season was cranking up. 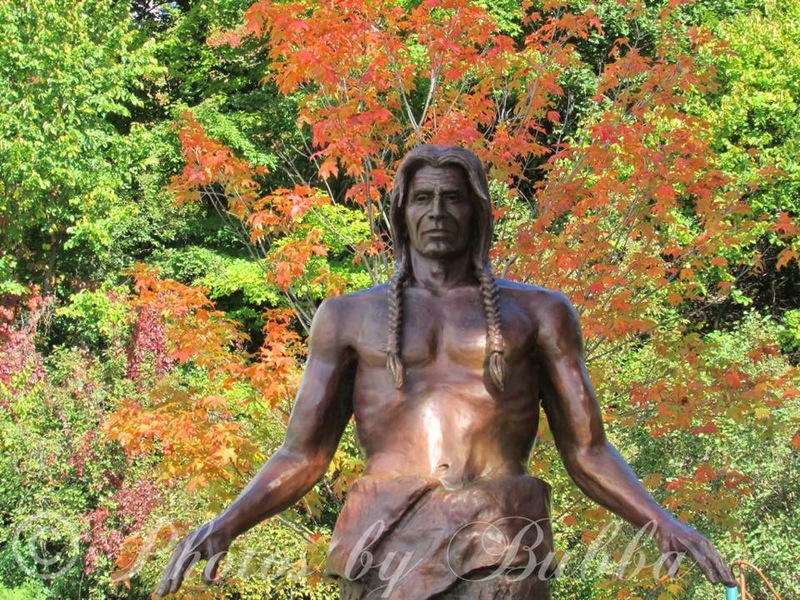 But, thanks to friends who were there and shared, we get to enjoy the beauty of Fall on the island through their photographs. 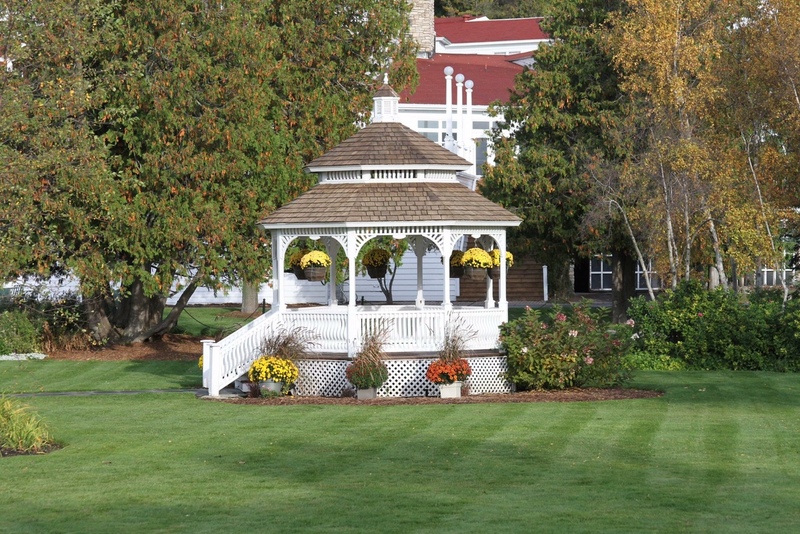 I don’t think I took a single photo of the Mission Point Resort gazebo this summer – no idea why not. Thank you, Jackson Pearson! 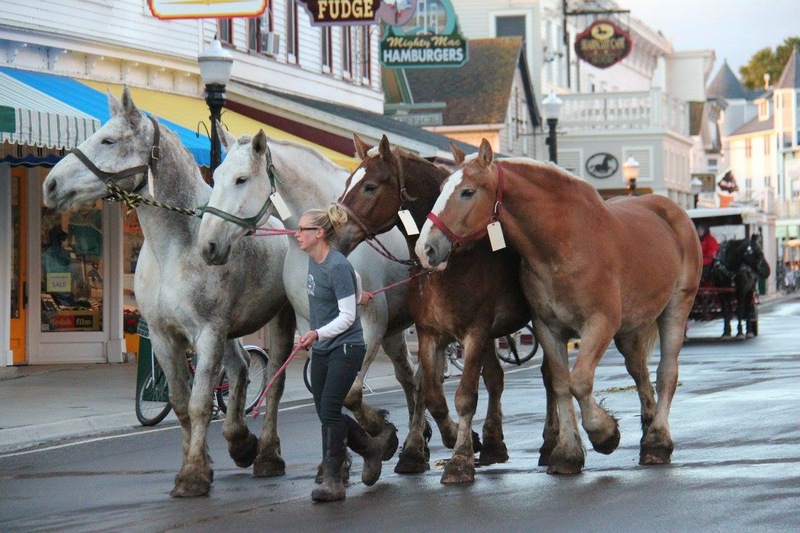 From a photographer for Joann’s Fudge: Another group of horses leaving for winter pastures in the U.P. I love everything about this photograph by Jackson Pearson. 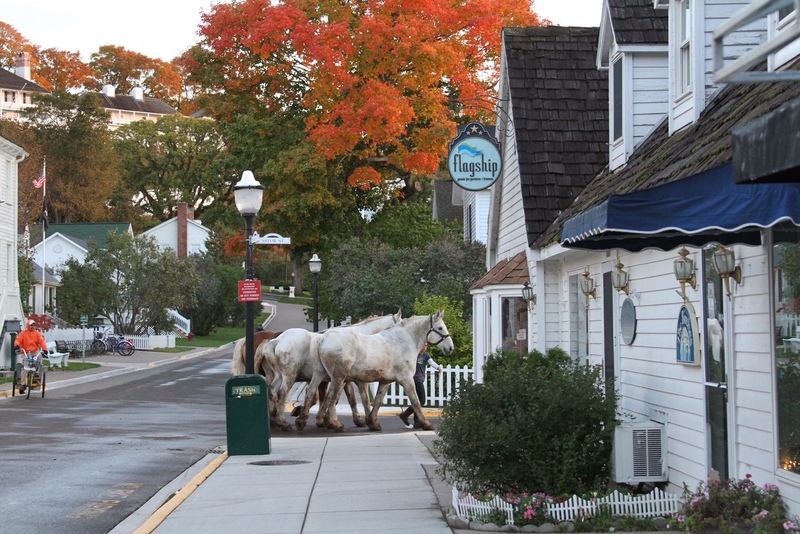 Horses going to the ferry, fall colors, a peaceful Market Street, bikes at the post office, the fort on the hill – even a street sweeper following along behind the horses! 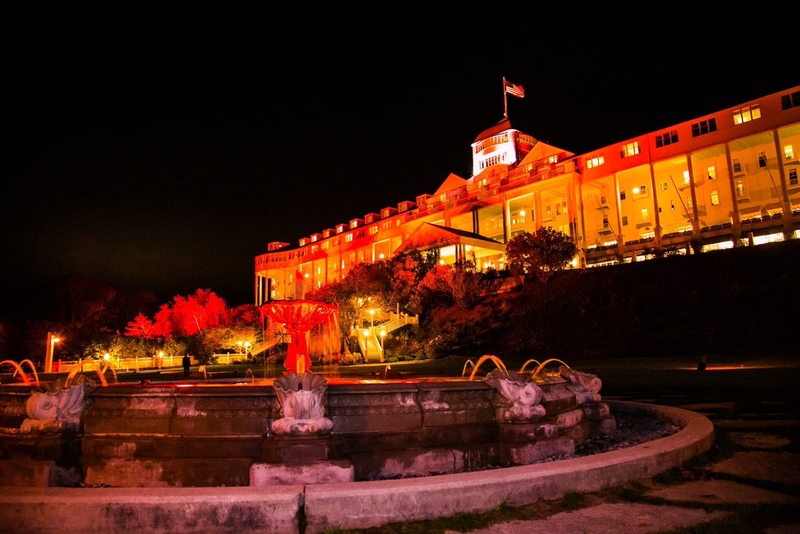 For the first time ever, Grand Hotel celebrated Halloween with a weekend event – complete with special lighting. Wow! Would have LOVED being there for this! 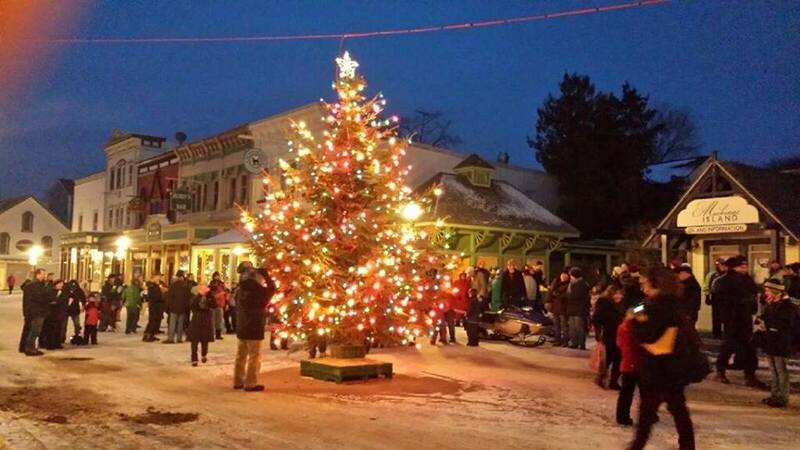 Guess who’s going to the Mackinac Christmas Bazaar the first weekend in December?! Do you see me jumping up and down waving both arms in the air?? It’s true, it’s true! Original Murdick’s Fudge has asked me to come up to write about how they open for three weeks in December to make the fudge that goes out all over the country for on-line orders. 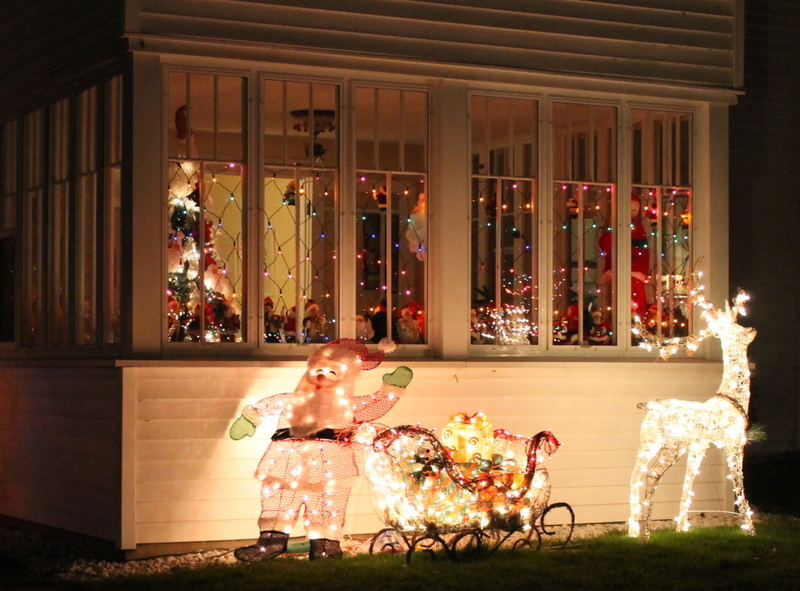 Instead of a complete summer crew, it’s all done by just a few special Christmas elves. It’s going to be a great story, and I can’t wait to share it! Ted is staying home for this trip – he is never going to be a cold-weather person. Bear and Maddie were very happy to hear a pet sitter was not in their near future! Ok . . . I know it’s a frivolous thing to add to your prayer list . . . but it sure would be nice if there was lots and lots of fluffy white SNOW during that weekend!!! I’ll be flying up on Thursday, Dec. 3 and returning to Florida on Monday, Dec. 7. So EXCITED!! And here’s where I’ll be – good Lord willing – on Friday night, Dec. 4. 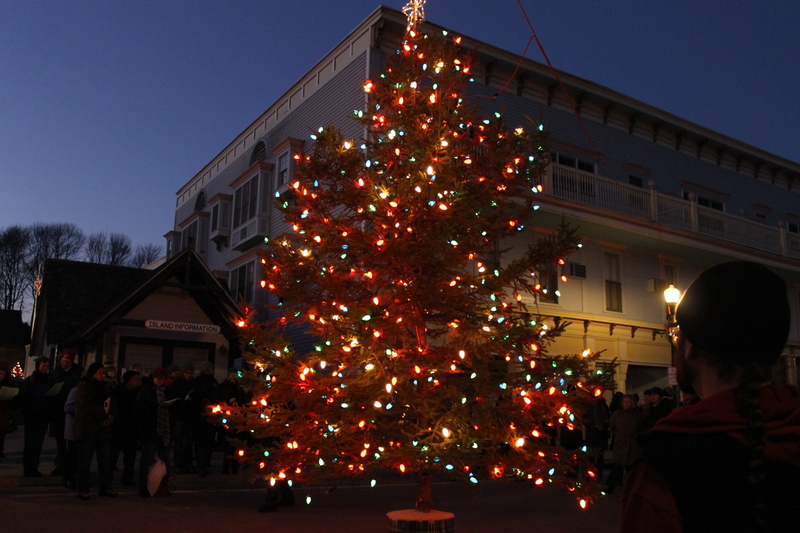 Can’t wait to stand right there for the lighting of the Mackinac Island Christmas tree – right smack dab in the middle of Main Street! See that snow on the ground? 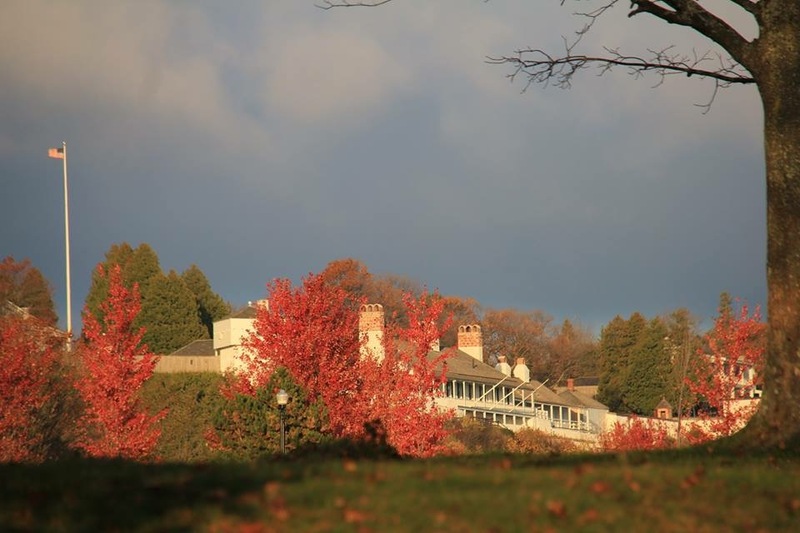 This is last year – thanks, Nicole Doud, for sharing this photo! 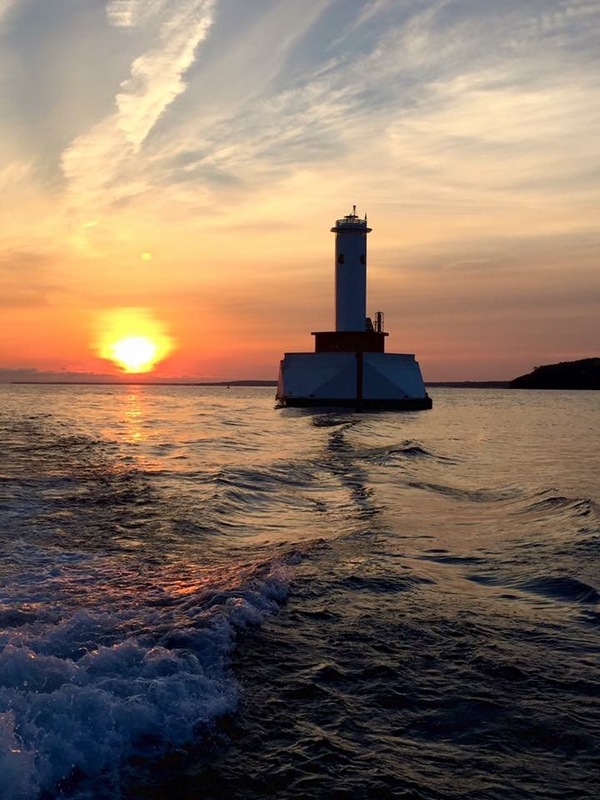 From Mackinac back to Florida! 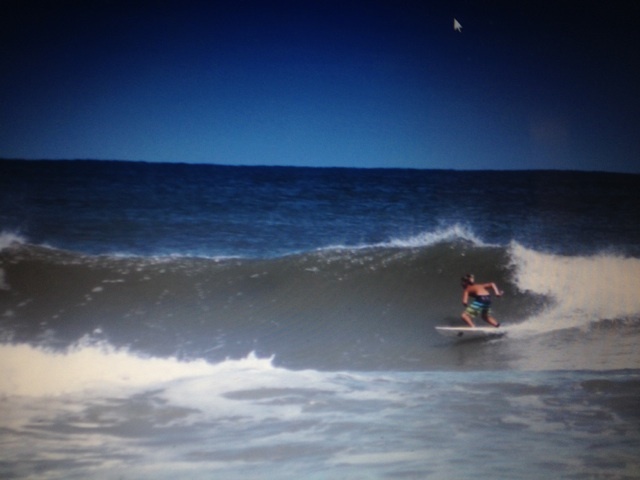 Our 13-year-old Matthew doing some serious surfing a few weeks ago! I think that about catches you up on what’s been happening with the Hortons. Thanksgiving will be here before we know it, and our list of guests for dinner is growing each day – which makes us so happy. 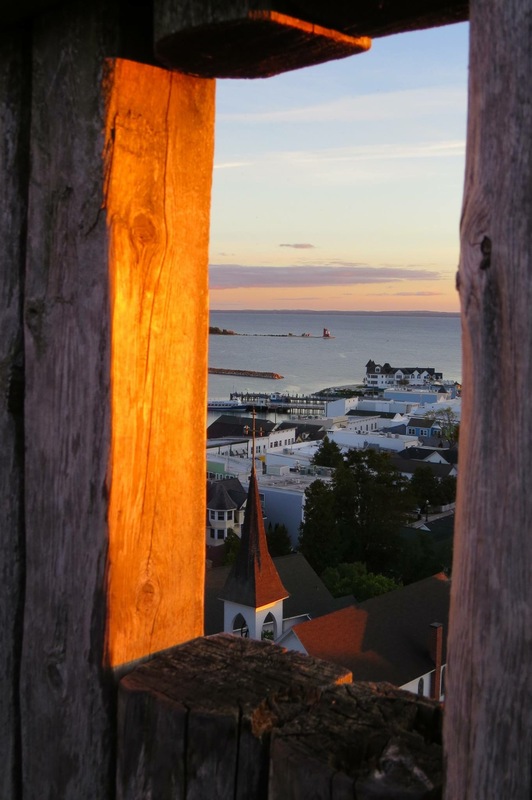 Notes: I’ll be keeping the Mackinac Island blog open until after my December trip, then I’ll close it down until we return next July. So . . . . what have y’all been up to???? Wouldn’t it be awesome if everyone reading this did a little one-paragraph version of what you and yours have been up to in October? Happy events, prayer requests – whatever you want to share. Ok- see you back here in a few days – or a week – or whenever I’ve got something to share. Have a GREAT week. I’ve missed you all! God bless.